Those new to a vegetarian diet often have issues with bloating and gas, which can usually be helped with digestion aids. 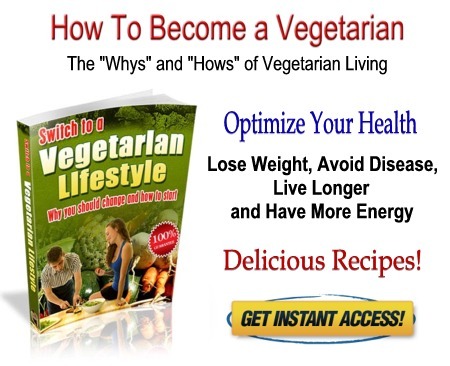 For many, the increase in complex carbohydrates in the vegetarian diet is what causes the problem. Fortunately, there are several digestion aids that can remedy the situation. Lipases - function in the digestion of fats, oils and fat-soluble vitamins. Amylases - break down starch molecules into smaller sugars. Amylases also break down carbohydrates into maltose. Proteases - are responsible for breaking down protein into smaller amino acids. Diet alone may not supply enough digestive enzymes to adequately digest the complex carbohydrates in a vegetarian diet. Beano, beloved by vegetarians everywhere, contains an enzyme specifically for breaking down complex carbohydrates so they can be easily digested. The correct dosage amount of this digestive aid is key to Beano's efficiency. At meal time, take one Beano tablet or five drops of Beano liquid per ½ cup serving of gassy food. If Beano doesn't do the trick, try a digestive enzyme supplement that contains all three enzyme types: lipases, amylases and proteases. These can be found in health food stores and pharmacies. Digestive enzymes taken with meals should stop digestive problems before they start. Acidophilus, the live culture in yogurt and kefir, can also be a helpful digestion aid when taken daily. You can purchase it in capsules if you don't eat dairy products. Refrigerate the bottle after opening so the capsules remain fresh. Acidophilus is especially important after a round of antibiotics as it restores important digestion-enhancing bacteria killed by the antibiotics. It's a good idea to keep this digestion aid on hand for those occasions. Activated charcoal capsules taken at the first sign of bloating, nausea, or gas can be helpful in quickly alleviating symptoms. The charcoal absorbs symptom-causing bacteria. Charcoal is suitable for occasional use only, as the charcoal can also soak up good bacteria and minerals. So, charcoal isn't a daily solution - but many on a vegetarian diet keep it on hand for potentially embarrassing situations. Digestive upsets indicate that you're not fully digesting the nutrients in your vegetarian diet. Digestion aids can help you make the most of a healthy vegetarian diet and prevent common malabsorption problems.